So, I have been using the Maha charger for my pile of enloops for the past few years. I am looking for something that holds more than 8 batteries at a time. I love to read reviews but they also make me crazy...lol..
two Maha chargers. love them and their ability to do each battery separately and they can recondition the batteries too! I've not seen a charger with a capacity greater than 8, so dual chargers for the win. I love my Maha-been great for 5 years. Mike, I have seen something bigger, but, some compartments were designed for the larger D size batteries, which would defeat the purpose for what you want. I just use the 8 slot Sanyo Eneloop chargers that I get locally here. I have 3 sets, but since I am using a much larger external battery pack with adapter cord I don't use anywhere near the amount of AA's anymore, just carry one spare set of 8, and 2 sets in my 2 flashes along with my External Battery Pack which has 2 ports and I put a 2 to 1 adapter cord into them, so it comes out to a single point for me to plug in my Nikon Cord and other end to my Flash head. Cuts down on recycling time. I can fire a full 1/1 flash and have it recharged ready to fire in juuust under a second if need be on those rare occasions I need full manual 1/1. Godox eBay store, do a search on it. Same here ... I have 4 chargers that take 8 batteries each. Just a hint though, on my Eneloop Chargers, there is a little blue button which discharges the batteries first, and does a full recharge, now I had been initially told by a salesperson that there was no need to do that since they did not have a 'memory', and just to put them in to top them up; so when first placing the batteries in, you get a solid red light which means it's just charging straight up. However, a few months back I started getting a 'flashing' red light on 1 or 2 of the batteries, and it would stay like that even when the rest turned to green, so I was just throwing them out, but when I told the owner of the local Battery World what was happening, he just shook his head and told me I was an idiot (we are mates), and that I should be doing a full discharge every 2-3 uses, which does take time if batteries not used much, maybe 24-36 hours. And the next time I noticed a 'flashing' red light, I did a full discharge and then recharge, and bingo, all batteries turned solid green (after around 30 hours - remember to do this at least 2 days before event). So from now on, I may use batteries with just a 'top up' 2-3 times, but then I do a full discharge/recharge or if I get that flashing red light they all get a full discharge first. 99% of the time those 'dead' batteries just needs re-conditioning. Something to keep in mind mate. Can you guys tell me what sets these batteries apart from other rechargebles, please? I checked prices and they don't seem that much more than Duracell or Eveready. Dave - the Eneloops have a very slow self-discharge rate. Something in the order of them retaining 80% of their charge after a year. Most other batteries self-discharge quickly. So with the Eneloops, I can charge them after a wedding or event, and put them in their cases, and "forget" about them until I use them again. With other batteries you'd have to diligently charge them again the night before an event. I like the condition cycle on my Maha as well. I add new enelops yearly and phase out sets that are old. They become remote and kids toy food! The link is broken, and I could not find it to correct on Amazon, after much searching. I keep getting different countries, even Australia, is that how Amazon works, it's not actually their own products, I've never used it before. I have tried two of the Maha MH-801D chargers in the past, and I didn't have good fortune with them. After using them for about 4 months, one charger's power adapter failed. After some emails with Maha, I was able to get it replaced. However, after about a year, the units themselves died without any notable cause. 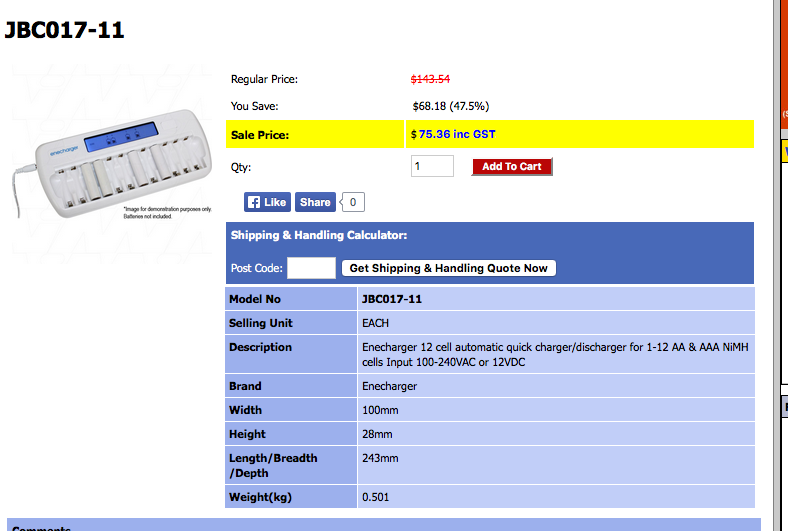 Considering some of these chargers are $50+ USD, I have stayed with the 4-slot chargers. Mike , try this charger . Bought it from Amazon. It discharges first before charging the batteries . Thanks Vaenka I will read up on that one. Thanks Mike, working. First time I've seen one with that many ports for batteries without some of them being for the larger D sized one. Other people will now be able to see it also. Yes, it certainly does. 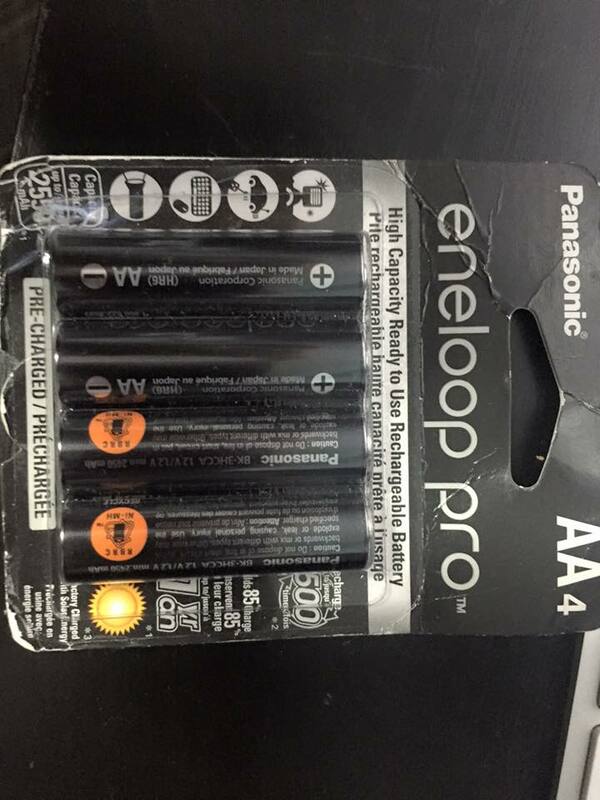 I rang my local Battery World bloke yesterday asking him about it, and apparently you can get the Eneloop 16-slot for AA/AAA and it has exactly the same features, along with LED read-outs telling you the condition of the batteries, the % of charge, it re-conditions and has a slooow discharge and charge rate to bring up the batteries much better. 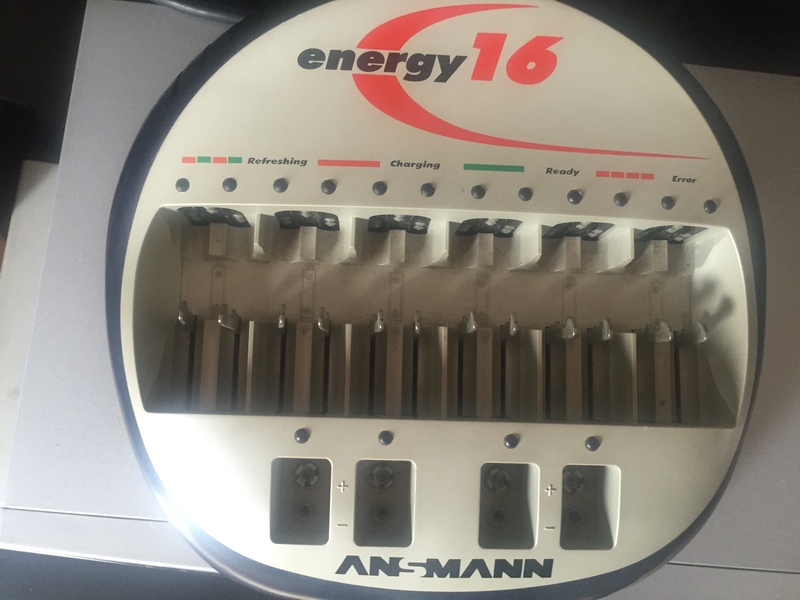 I have the 8-slot Eneloop and asked him if they are the same, but he said the 16-slot one was better because of the way it does a slow 250mAH so on a 2700-2800 eneloop battery it take up to 10 hours to fully discharge, and around 6-8 to charge back up if you do a full re-condition, and it has sensors so the batteries do not get hot at all, they stay cool. It's a bit pricier @ $105Au, but I'd be paying roughly same to get the one above with freight, and US to Au $$ exchange anyway. Plus 2 year warranty and it's local so any trouble and back it goes. Besides the enloop pro , any other battery types anyone using for speedlights ? My recommendation would be to stay with Eneloops.